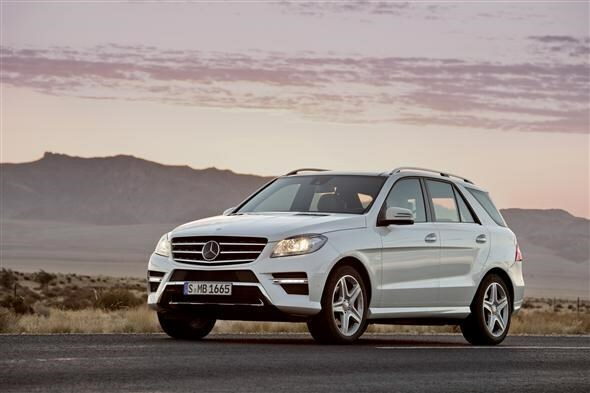 This is the new Mercedes-Benz M-Class and while it might not look much different the company is trying to rein in the upmarket 4x4's emissions and improve economy. There's been no drastic redesign although it does get a few aesthetic additions to bring it up-to-date. There are LED daytime running lights, while the front lights and grille get a sharper look. Customers also get LED lights in the rear and it all results in a sleeker looking car compared to the predecessor. 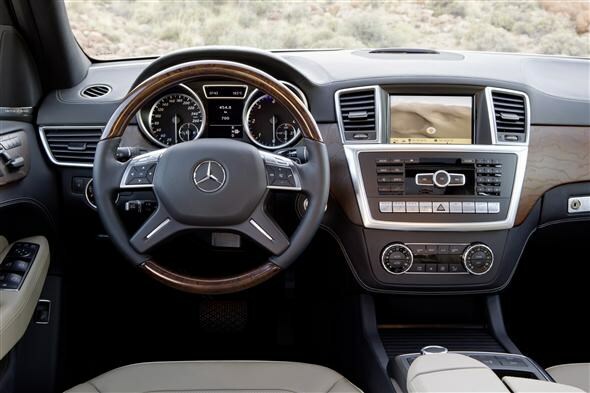 Mercedes is pushing passenger comfort a little in this latest model with 35mm more width in the front and 20mm extra width in the back - so you can push that elbow out a little bit more. While this all might seem a little modest, the biggest change comes under the bonnet with the introduction of the ML250 BlueEFFICIENCY model that has a 2.1 litre four-cylinder diesel engine. Producing 201bhp, it'll accelerate the M-Class from zero to 62mph in 9.0 seconds. More importantly, emissions of 158g/km of CO2 mean a tax bill of £165 - down from the £224 you'd pay for the previous model's 3.0-litre diesel. Average economy has also been improved from 33.6mpg to a claimed 47mpg. If you're worried that the company is taking away all the fun then you will still be treated to the 3.0-litre V6 diesel engine with 258bhp and 0-62mph sprint time of 7.4 seconds. This, also badged BlueEFFICIENCY, gets stop/start as standard and both models come with the company's seven-speed automatic gearbox. For anyone hankering after the full on fuel draining feel, there will also be an AMG version with a 5.5-litre V8. There's a raft of options for the interior with a choice of four different wood veneer finishes or aluminium. There's also a new dash to house the latest COMAND screen that can access the internet as well as be used for the usual telephone connection. It also comes with the now familiar list of high-tech safety options, including night view assist, blind spot assist, lane keeping assist and speed limit assist. This is on top of the nine airbags that come as standard. 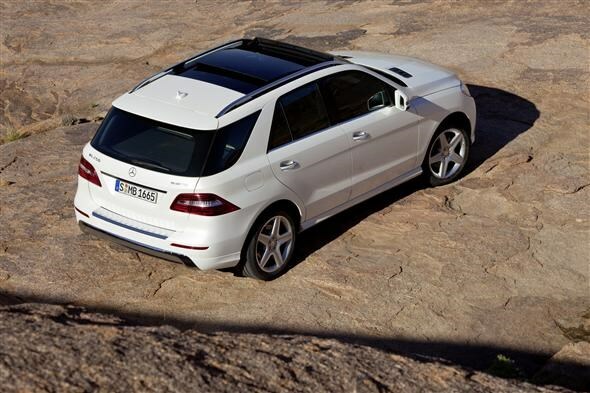 The new M-Class doesn't go on sale until spring 2012, with prices expected to be announced nearer the time.